A super week with a lot of ‘Super Vegetables’ involved! 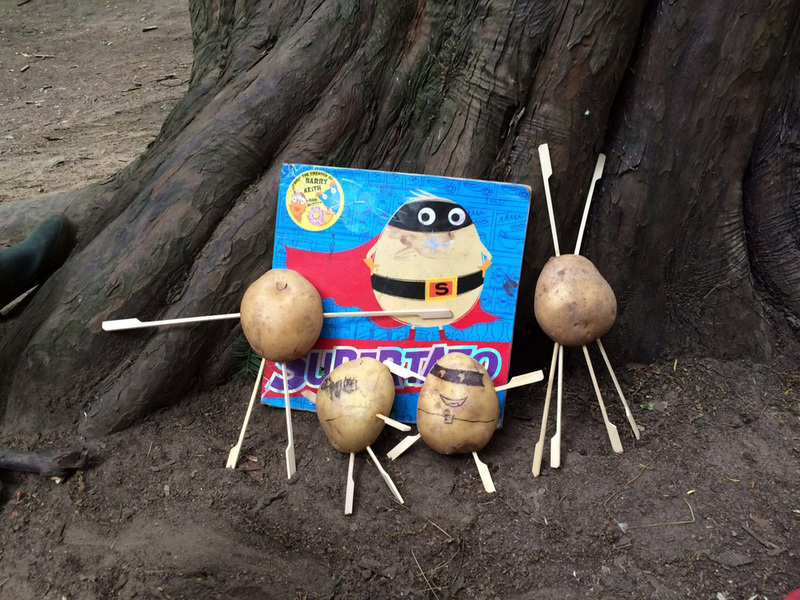 The children loved taking part in our ‘Supertato’ topic this week. Of course, we read the book again and also introduced other books including different vegetables, ‘Supertato Hap-Pea Ever After’ being one of them. We made our very own Supertatoes and Super Vegetables using sticks for arms and legs and decorated our Supertato’s/Super Vegetable’s faces with markers exactly how we wanted, taking care to draw different expressions for how they were feeling! Some even turned into veggie-spaceships, magic!. 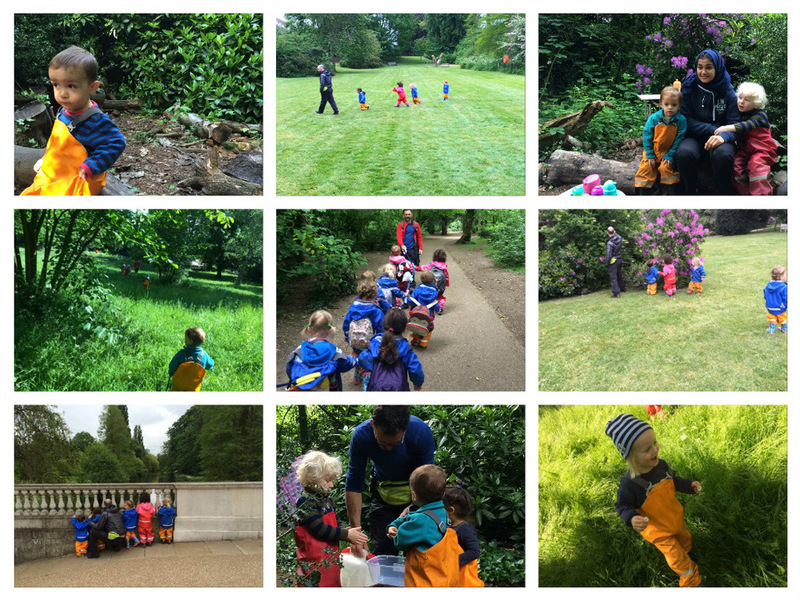 We were lucky enough to meet one of the park rangers at Chiswick House and Gardens, who showed us some of his tools and his mower, and discussed how he keeps the gardens tidy and beautiful. This experience was very exciting for the children, who stood and watched in awe as the ranger used the leaf blower! Later in the week, some of the children helped make a ladder using small logs and string. The children found a tree to hang it on and attempted to climb the ladder. Climbing promotes the use of arm and leg coordination, improves strength and helps children to take calculated risks. Many of the experiences we encourage in the forest support children's physical development, as well as promoting healthy, confident kids! Next week in the forest we have our FIRST holiday camp! We will be looking at different types of birds and bird’s eggs. We even have a special ostrich egg which we will teach the children to be extra careful with. Who knows, it may even hatch! We’re sure that the children attending holiday camp will have a great forest experience with us, getting involved in lots of exploring and investigation in the great outdoors. Holiday camp is only attended by children who are booked in for full days. As we expect the weather to be warming up we recommend you apply a layer of sunblock on your children in the mornings and we will apply more throughout the day as needed. If you prefer us to use a personal sunblock, please let us know. Here is a suggested Spring kit list for what your child should wear in the forest. Please label your children’s items so as to minimize risk of losing items. We will be celebrating the Queens birthday with a week of dressing up, tea parties and learning about our royal family history. 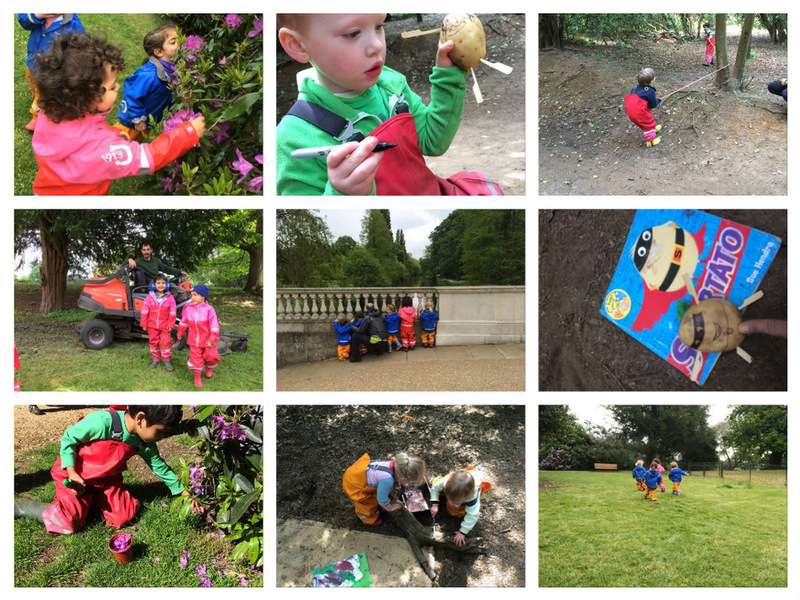 Older PostWimbledon - Mini beasts!